RAFTING IS EXCITING!!! COME JOIN US IN 2013! This is a CO ED EVENT! As the premiere alpine river in the country, the Middle Fork of the Salmon drops 2700 ft in it’s 100 mile course providing heart pounding whitewater excitement with crystal clear waters. It is a wonderfully diverse river with whitewater ranging from long technical rapids that require precise maneuvering, to exhilarating drops at Velvet and Tappan Falls.The big waves of Impassable Canyon offer a fantastic finish to this exciting whitewater trip. There are over 80 rapids in all with the largest being class IV. Our guide staff are excellent high and low water boatmen and look forward to the challenges of the Middle Fork each summer. We offer state-of-the-art equipment to challenge the rapids of the Middle Fork. All of our rafts are self-bailing Maravia’s and are made specifically for the demands of whitewater. We want all of our guests to experience the Middle Fork of the Salmon River at their own comfort level so three types of rafts are provided for your enjoyment. On any one of our trips you can choose between an oar boat where you sit back and relax while the guide maneuvers the boat, grab a paddle and enjoy the teamwork of a paddle boat with crew and captain, or test your own skills in one of our inflatable kayaks. For fishing enthusiasts, we also provide drift boats and custom fishing rafts upon request. A $400 deposit is due when you register. PLEASE CONTACT ME: 503-957-3287 for more details. DEADLINE FOR DEPOSIT: SEPT. 30th, 2012. 6 Days! SPACE IS LIMITED! PLEASE LET ME KNOW IF YOU’RE INTERESTED IN THIS TRIP. SPACE IS LIMITED AND WILL FILL FAST. More details to come. If you have any questions please let me know. Sunriver is a wonderful 3300 acre Destination Resort located on the sunny side of the Cascade Mountain Range in beautiful Central Oregon. Bordered by the Deschutes River, Sunriver is just minutes from Mt Bachelor and the bustling city of Bend, Oregon. Miss Fit Adventures presents a fun Winter Adventure this coming January! This four day three night getaway is a perfect if your looking to get in some exercise and beautiful scenery! I will be taking my RV so transportation can be included!!!! We had a terrific time last Winter! Come join in on the fun this Winter!!! This Miss Fit Adventure is one of my favorite trips. This 7 day 6 night horse packing trip is in one of the most beautiful places in America. The Sawtooth Mountains are located in Northern Idaho. They stand jagged and rugged. The Sawtooth trip is a 12 miles hike up to the Barron Lakes. Horses carry all our heavy gear while we carry only our food, water and essentials. All meals are prepared by Nikki! They are all organic and plenty after a fun day. Some of the things we do: short hikes, flyfishing, yoga every morning, navigating to a secret lake and much more. Ask for more details! Two nights lodging at the Sawtooth Lodge before and after the horsepacking trip, horse and pack fee, permits, weight and cardio training program, all the 2013 snowshoe adventure trips, all the 2013 hiking day trips, organizational meeting and equipments education, all meals while on the horse packing trip and more. A $300 deposit is due to hold your spot. The Sawtooth Wilderness of Central Idaho has over 217,000 acres of lush green meadows and high, jagged mountain peaks that are scattered with a large variety of wildflowers and wildlife. Pristine clear flowing streams with spectacular waterfalls supply more than 140 high mountain lakes. Whether you are a novice spin-caster or a seasoned fly fisherman, you will enjoy some of the finest trout fishing in the West.The beauty of the Sawtooth Wilderness has a variety of ecosystems from the Ponderosa Pine forests of the Payette River to glacial sub-alpine basins that flow into the Salmon and Boise Rivers. The region offers some of America’s most spectacular scenery. 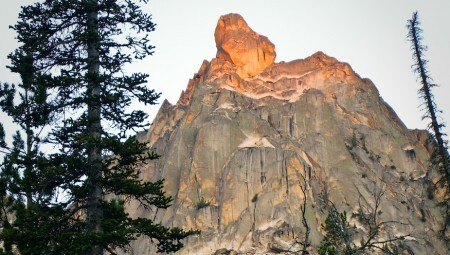 Its ever changing granite peaks, which are unique to Idaho, have often been referred to as the American Alps. Comfortable back country camps offer a variety of recreation opportunities – photography, fishing, hiking, wildlife viewing, or just relaxing while you enjoy the solitude of this vast wilderness. 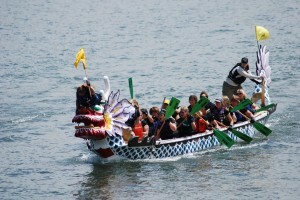 Please come join the Miss Fit Dragon Boat Team at the second annual auction. Last year was a HUGE hit! A wonderful dinner and awesome auction items again this year. Tickets are $20 (This includes dinner and one ticket for the GREAT door price. Send this information to your friends! PLEASE RSVP! It should be a fun night of laughter and inspiration! 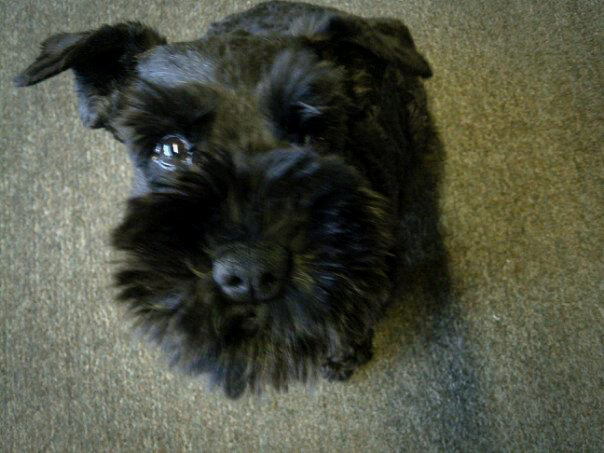 As a lot of you know my little pup Tati (AKA TATOR TAT) passed away at the age 2 last Friday. In her honor I would like to do a 5 mile benefit walk for DOVELEWIS . I am hoping you all can attend? Bring your friends, family! Walk in honor of your beloved pets you have lost. This is a good cause! Our pets are part of the family. They love us unconditionally and NEVER really complain! ALL PROCEEDS GO TO DOVELEWIS EMERGENCY ANIMAL HOSPITAL! Walk will be around the Portland Waterfront! You can send your registration to the address listed in the walk start location section above. PLEASE MAKE YOUR CHECKS OUT TO DOVELEWIS. Thank you everyone…I sure miss my baby! Improving the condition of animals needing emergency and critical care. Strengthening the ties with, and extending the reach of, the veterinary community. Promoting the well-being of animals and the human-animal bond throughout the community at large.